It is now universally acknowledged by climate change experts that energy used within the home is a major contributor to global warming. As a company, we where possible, through energy efficient & sustainable designs, aim to minimise the impact by incorporating some of the following in our projects. It is unlikely that you will do everything but even small steps in this direction can make a difference. LED lighting has progressed hugely in the last few years providing soft lighting and lamps that can be dimmed. Good insulation in walls, floors and ceilings is the best way to reduce energy usage and consequently running costs. Solar hot water heating and photovoltaics panels with appropriate use can go a long way to reducing your household bills. Ground source heat pumps in new builds can be appropriate. 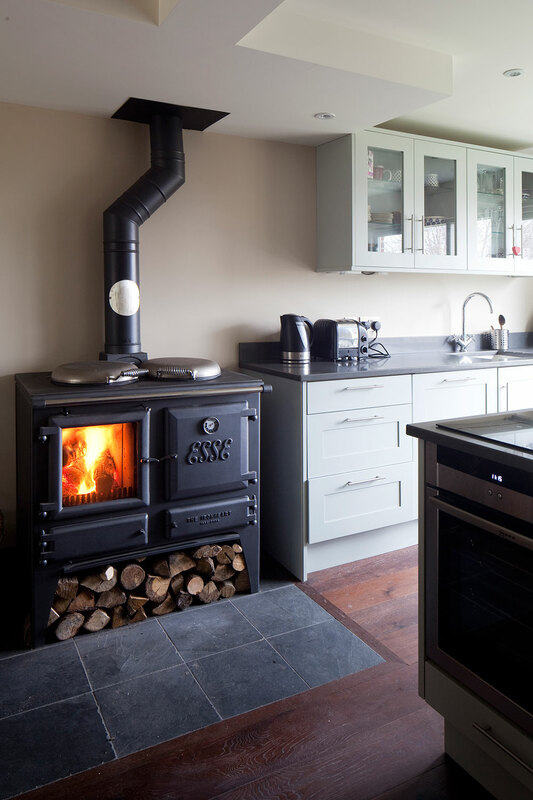 Wood burning stoves are ecologically sound and can create a comforting focal point in the home. Sun pipes can introduce additional natural daylight. Aerated shower heads use less water than conventional shower heads. Most straight forwardly efficient boilers and modern radiators and the use of thermostatic valves use less fuel and allow you to regulate the temperature in each room to meet your needs. Sometimes it is a case of endeavouring to make sure that all openings are air tight by installing new windows and doors, a simpler remedy is to use interlined curtains. 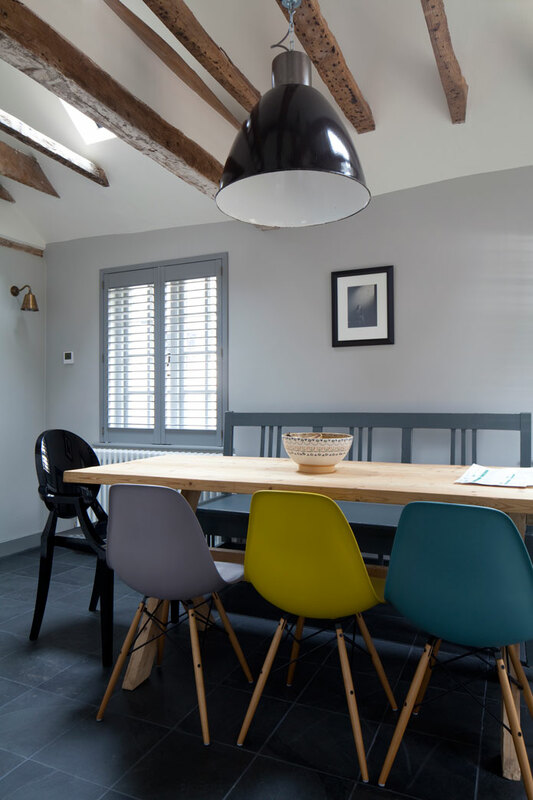 We use sustainable materials, wood flooring from sustainable sources, natural stone and recycled glass and other materials and regularly source vintage furniture. "Great vision for the project, but more importantly able to guide us on a peaceful path to achieving it. Could not recommend more strongly!"